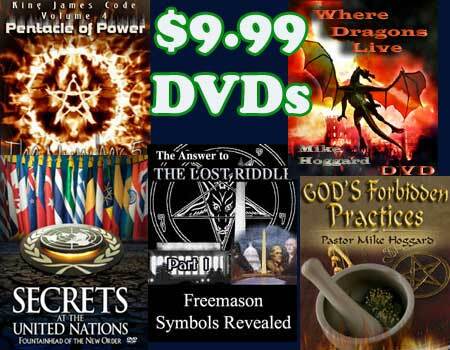 The Cutting Edge - Spiritual Insights Into The New World Order So Startling You'll Never Look At The News The Same Way Again. Subscribe to our email updates at the bottom of this page. Today's Christians have a very sketchy, superficial, and foggy knowledge of the progress of the Jewish state that has led to the conflict and confusion broadcasted by the current news media. In Part I of our study, we discussed the origins of Israel from the Abrahamic Covenant up until 1948. Part II of our study of the nation of Israel begins with a look at the modern birth of the nation in 1948 and will discuss events that lead right up to todays headlines. We will cover the military struggles from the attack on the new Jewish state in 1948 by the surrounding Arab countries, the Suez Crisis, the 6 Day War, the Yom Kippur War, and the later attacks from terrorist organizations such as Hamas and Hezbollah. 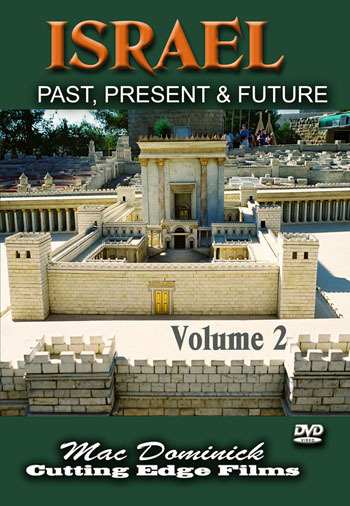 Most importantly, Part II will center around the biblical perspective of the modern Jewish state. We will give all sides of the arguments regarding Zionism, Christian Zionism, Christian Palestinianism, and even look into the effects of the Hebraic Roots movement on modern Evangelicalism. 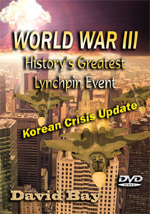 Salvation Plan given at the end, so this DVD is a soul-winning tool! 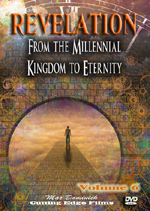 "REVELATION, Volume 6, From The Millennial Kingdom to Eternity" DVD"
JESUS CONQUERS ALL!! This video examines Rev 19-22, a most exciting and impactful chapter as Jesus Christ speedily concludes His dealing with wicked, sinful mankind, preparing the world for the purity required for his Millennial (1,000 Year) Reign! Jesus begins this final segment with His holy angels proclaiming ' Alleluia; Salvation, and glory, and honour, and power, unto the Lord our God' and concluding with Jesus proclaiming to John 'Surely I come quickly'! 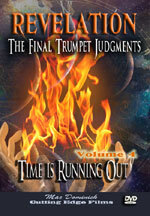 During these four chapters, Jesus consummates His 'Marriage Supper of the Lamb', His final judgment - the 'White Throne Judgment' - seizing Satan and binding him and his demons for Jesus' 1,000 year reign, the final battles as Jesus releases Satan for a short while, and the New Heaven / New Earth, and the glorious beginning of Eternity! 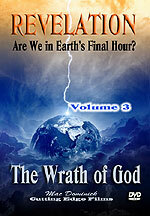 A triumphant wrap-up to a glorious book in which Jesus purifies Earth of its sinners and their sin so that He can begin the Eternal reign which He planned far back in Eternity Past. 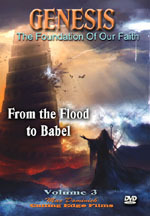 This DVD is Volume 3 of 3 in this Genesis: Foundation of Our Faith series. 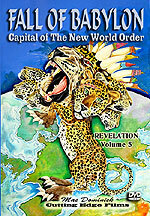 Mac covers Chapter 6 through Chapter 11.
. Mac correctly links the rise of the wickedness of mankind to Nephilim prior to the World Wide Flood. He then covers several current theories about why the tower was built including a way to escape another future flood, a stargate to another dimension or a home for the gods. Once you can understand this linkage, you will have from Mac's study in the original languages and the current works of Derrick Gilbert and Michael Heiser, a new fresh understanding of these Old Testament scriptures. As a result of the Satanic attacks at Babel, God chose Abraham as the father of a nation to be His inheritance upon the Earth and a conduit for the coming of Messiah and God's ultimate kingdom whereby he will rule and reign forever. In the minds of most people, two words carry so much emotional baggage that people cringe whenever they hear these Apocalyptic words. 1) 1) Armageddon; 2) World War III. 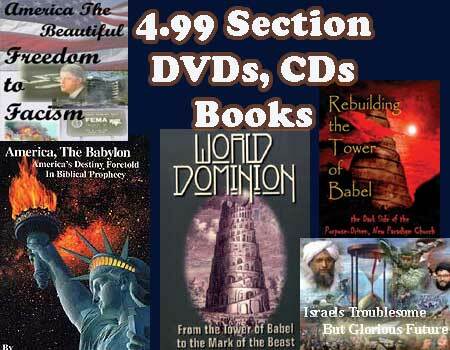 We believe our site represents the most complete, concise and comprehensive source of information available which deals with the Biblical prophecy of The New World Order. Our Christian organization is a fundamental independent Baptist Church outreach ministry. We are dedicated to the Scriptures as the only revelation of God and His Son, Jesus Christ. 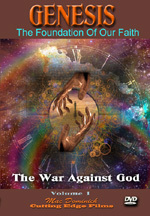 Whether you're a fundamental Christian who already has knowledge of the New World Order, and who is seeking a greater understanding of how current events are affecting our daily lives, or someone who is seeking some basic answers, we know you'll find what you are seeking in our carefully organized and presented material. To explain how its implementation will affect the average American citizen and family. To show how families are being influenced now, before we actually move into this system. This ministry is dedicated to searching out the news behind the news to provide you with insights which you cannot get anywhere else. No other ministry provides this unique comprehensive service designed to protect you, your loved ones and your friends. 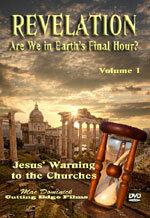 By providing analysis of current news events in a totally different way than any other fundamental Christian ministry. 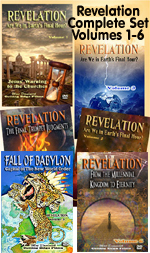 The most exciting aspect of our ministry is that through our teaching process, we show you that all of the New World Order plans, when completed, will fulfill dozens of Bible prophecies to the letter! From the beginning of my research, when I felt the Holy Spirit driving me to research the occult side of the plan to produce Antichrist, I realized that Satan is a liar; therefore, how would I recognize when parts of his plan is for real and when they were false? I concluded that the only safe way to proceed would be to adopt the practice of mariner captains in the days before sophisticated navigation. When they were bringing their vessel in to port, they would select three (3) distinct physical markers they could line up to direct them to the dock. Two markers would not be reliable, because you can incorrectly line up any two points; only lining up three points provided the mariner captain safety as he brought his vessel into the dock. If a specific part of the Illuminati plan does not line up with Biblical doctrine and prophecy, I discard it and never report it. Many such parts of the plan I have rejected on that basis. I have never taken their word for anything!! But, the exciting part was that when I adopted this philosophy, I realized a very exciting truth: the Illuminati plan which does line up, when enacted, very precisely fulfills God’s prophecy, in multiple dozens of instances. Their plan is the greatest proof of the Omnipotence and Omnipresence of our Jesus! Our primary focus is on your children and your family. We always endeavor to inform you based on knowledge and fact and not by fear. We do not believe there is a conspiracy behind every bush, nor do teach violence in any situation, nor do we teach any uprising or revolt against any government authority. We teach based on the premise that once you understand the plans of the New World Order, you will be able to see its progress towards completion in the daily news. We do not set dates by which things will happen; rather we hold to the Biblical teaching that believers who know their Scriptural prophecy may only know the broad picture, i.e., that we are generally in the time of the End of the Age. 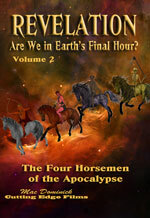 We do not teach that the world is about to end or be destroyed. The Bible does not teach that either. Rather, it teaches that Messiah will return a second time to judge the unbelievers and to set up His Kingdom on earth, and will rule for 1,000 years. And finally, we do believe this time is close at hand. Israel is back in her land and all the other prophecies are coming to pass. 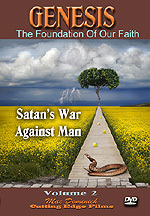 Please join us now and allow our web site to become one of the most important Christian resources in your daily life. If this whole concept of the New World Order is new to you, may we suggest that you begin with the selected transcripts from our radio show.